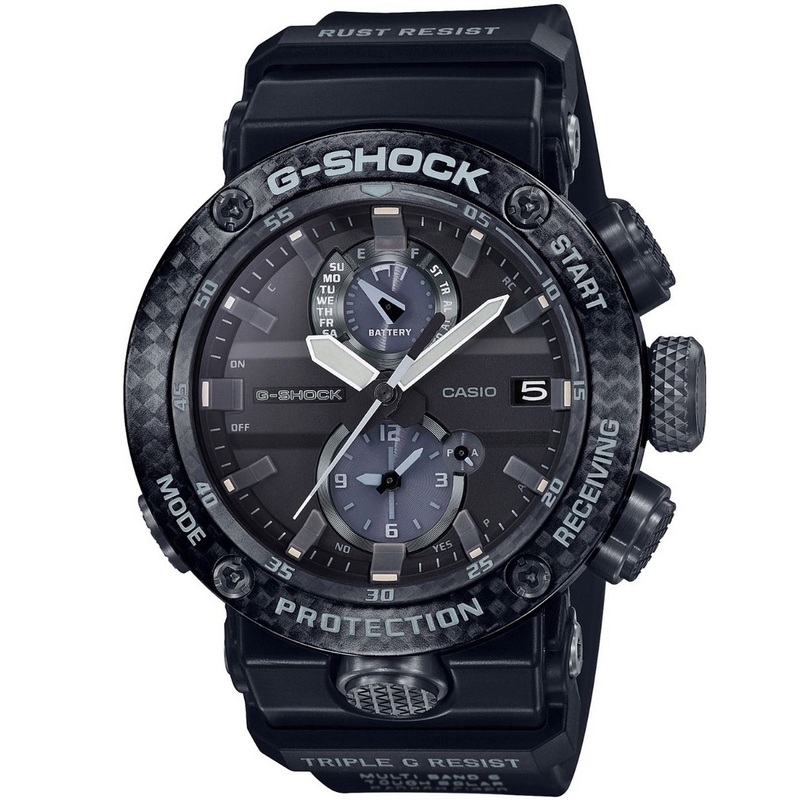 G-Shock GWR-B1000-1AER Gravitymaster Geavanceerd G-Shock pilotenhorloge met carbon monocoque behuizing in black/grey. 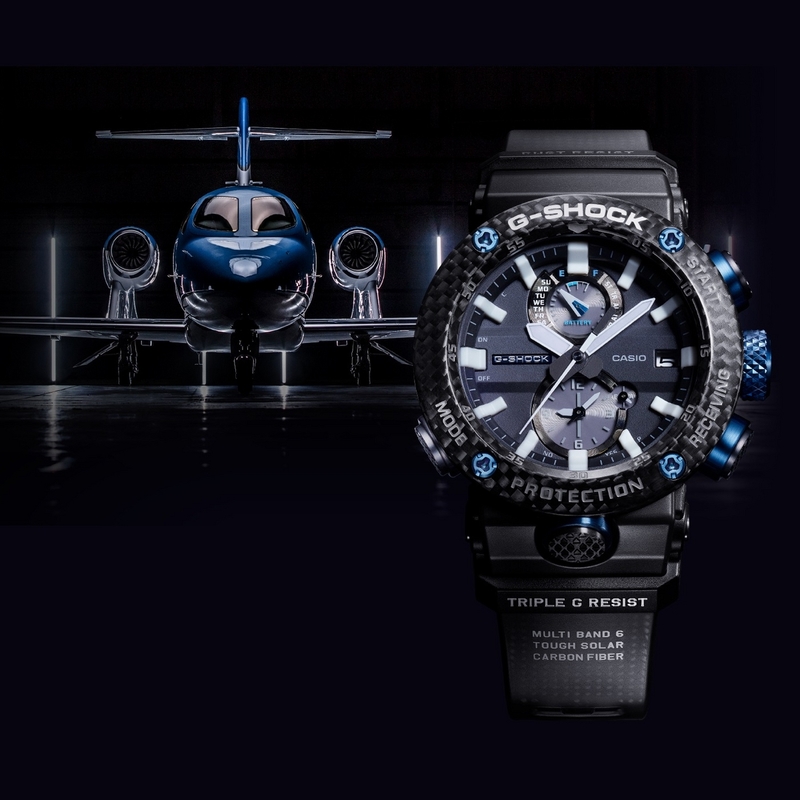 The watch is equipped with energy-saving Bluetooth technology, which offers power-saving data transfer at the push of a button. 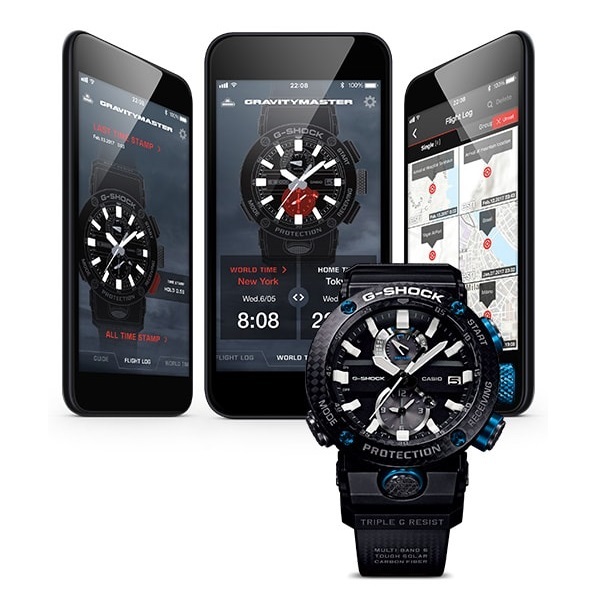 The watch can connect to a smartphone wirelessly via Bluetooth, enabling access to a wide range of useful functions. 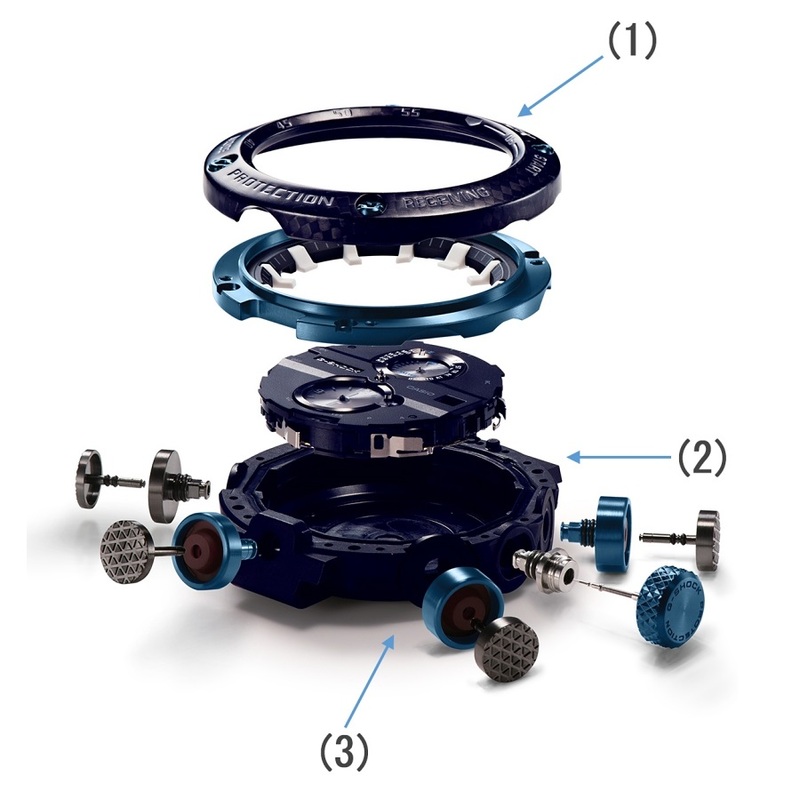 The fly-back function has been specially designed to meet the needs of pilots. The stopwatch can be reset simply by touching a button; if this is done while the timer is running, the stopwatch immediately begins a new time measurement. This feature allows several split times to be recorded without any time delays. On their own, carbon and resin are stress-resistant and durable; together they create a wrist strap that is extra robust and extremely durable. 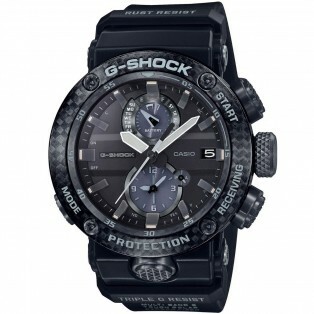 And the "carbon design" on the wrist strap not only looks elegant, it also lends the watch a sporty, dynamic touch.